The team behind one of the UK's best-known mid-market firms has formed Horizon Capital, backed by a group of investors including Pantheon and Idinvest Partners. Lyceum Capital Partners, one of the UK’s best known mid-market private equity houses, has used a stapled deal process to launch as a rebranded firm. 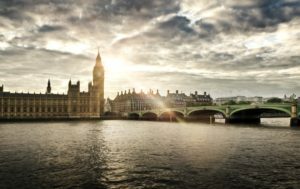 Horizon Capital will make investments of between £10 million ($13.1 million; €11.4 million) and £50 million in European technology and business services firms in the UK and Northern Europe, with a particular focus on buy-and-build strategies, according to a statement from the firm seen by Secondaries Investor. In early October it closed Horizon 2018, a seven-year, £200 million investment vehicle backed by Pantheon, Idinvest Partners, Lombard Odier, HQ Capital and EQ Asset Management. Rede Partners acted as placement agent on the fundraise, which took six months. Horizon’s backers participated in a tender offer on the 2013-vintage, £330 million Lyceum Capital III, buying stakes from limited partners that wanted to exit, according to two sources familiar with the matter. The buyers made a stapled primary commitment to Horizon 2018. Distributions from Fund III will be routed into Horizon 2018 and reinvested in portfolio companies, the sources said. It is understood the vehicle has a two-year investment period and five years for realisations. 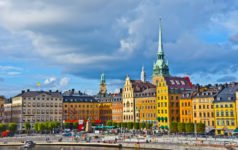 According to another source, the firm sought support from primary investors that could make secondaries investments, not pure secondaries investors. Lyceum managing partners Jeremy Hand and Simon Hitchcock, along with partners Luke Kingston, Adam Lewis and Martin Squier, make up the senior leadership of the new firm. Horizon will continue to manage Lyceum’s portfolio companies. “Significant dry powder is available to continue to support the growth plans of all portfolio companies including further planned add-on acquisitions,” the statement noted. In January Lyceum decided to stop fundraising for its fourth fund and instead switch to a deal-by-deal strategy, as sister publication Private Equity International reported. Lyceum began informal discussions with investors about raising £375 million. A significant number of LPs were unable to commit due to a range of individual internal issues as well as dampened post-Brexit sentiment. The same month seven partners resigned from the firm: Andrew Aylwin, who was responsible for investor relations and fundraising, Dan Adler, Jonathan Bourn, Geoff Neville, Mark Rogerson, Ian Williams and Martin Wygas. Several of the departing partners continue to serve on the boards of the firm’s portfolio companies. According to the 2018 secondaries volume report by intermediary Setter Capital, 31.9 percent of survey respondents felt that meaningfully more GPs sought staples in the first half of 2018 versus a year before.